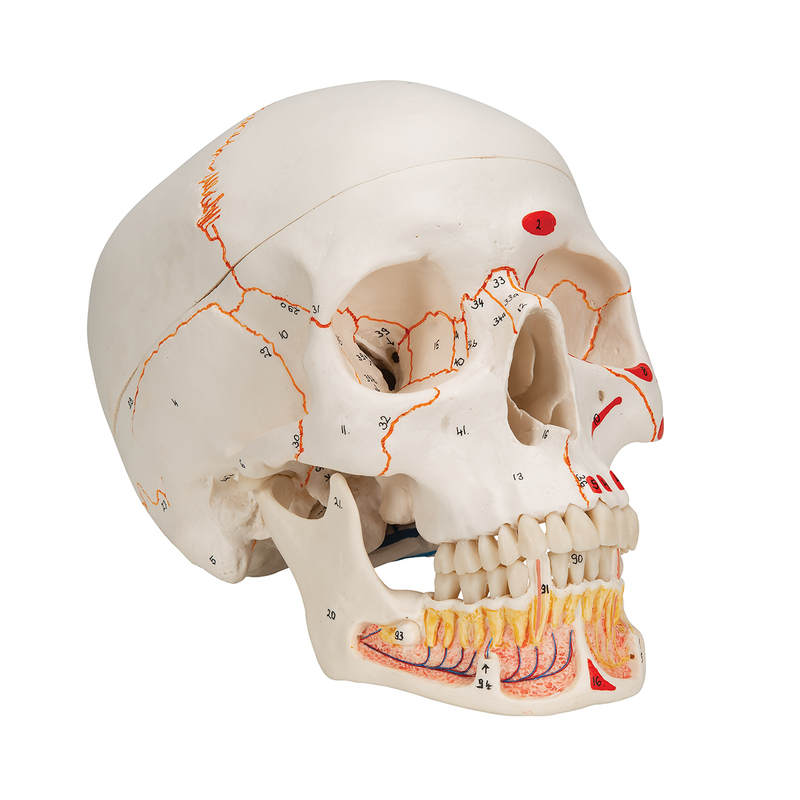 This dental skull with opened mandible exposes tooth roots with vessels and nerves. 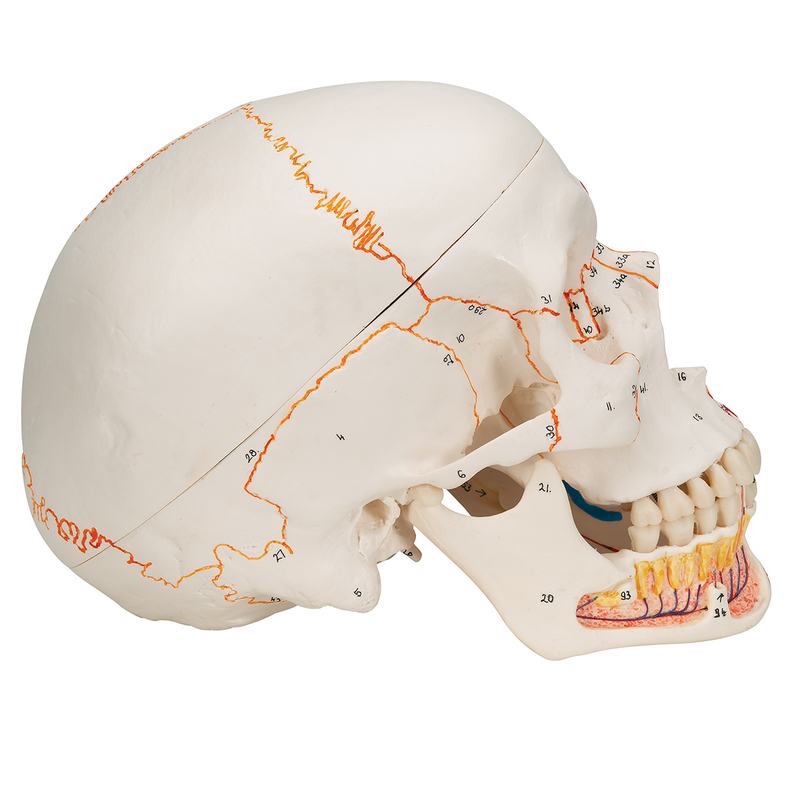 The skull model also features the numbering of the cranial bones, bone components, fissures, foramina and other structures. The cranial sutures are shown in color, as are the meningeal vessels and venous sinuses. 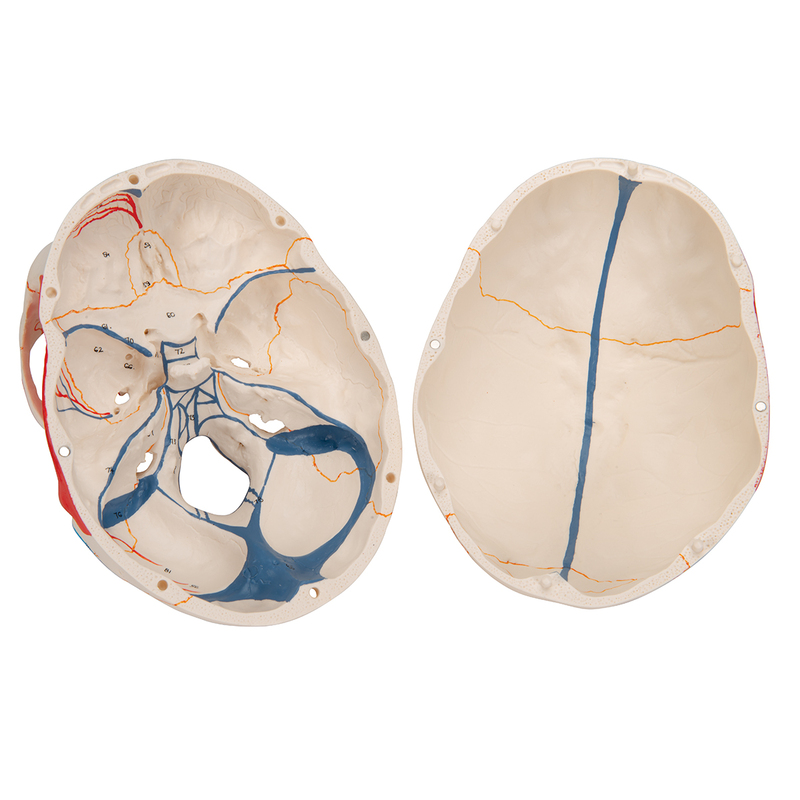 For added anatomical detail muscle origins (red) and insertions (blue) are represented on the left side of this human skull model. 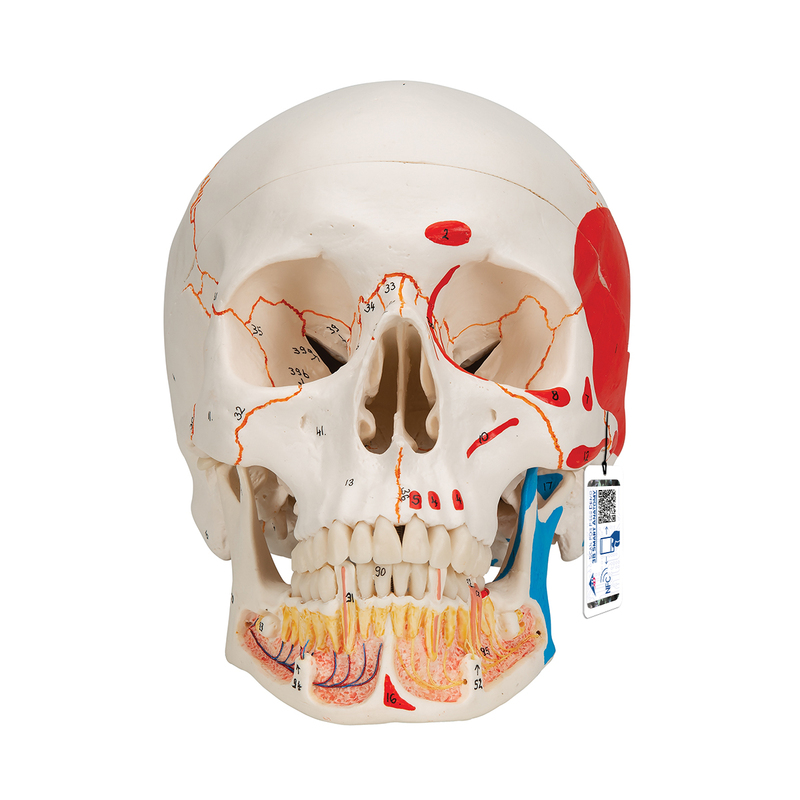 Highly accurate representation of the fissures, foramina, processes, sutures etc. 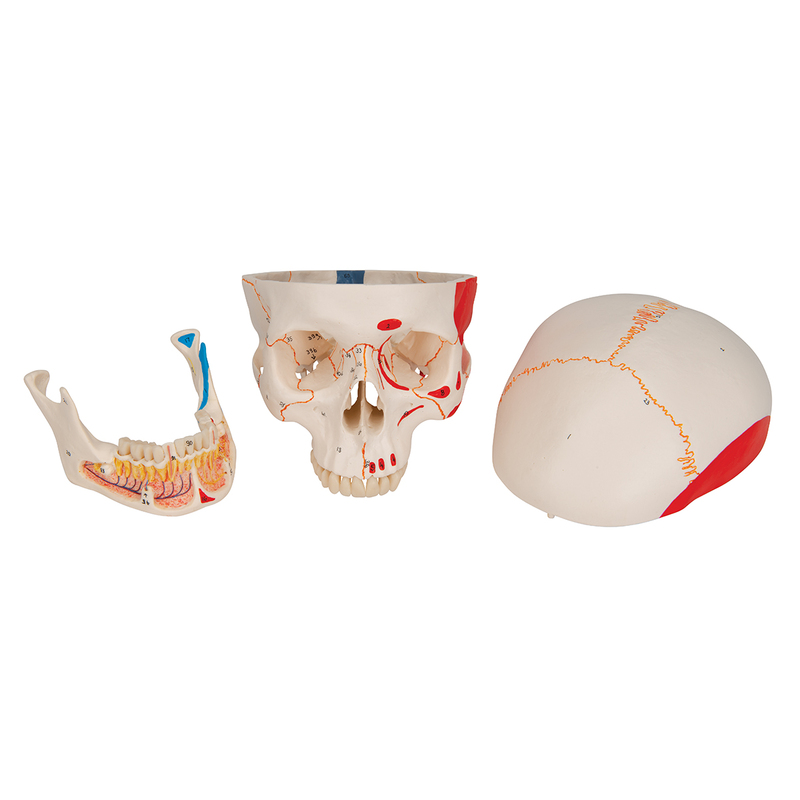 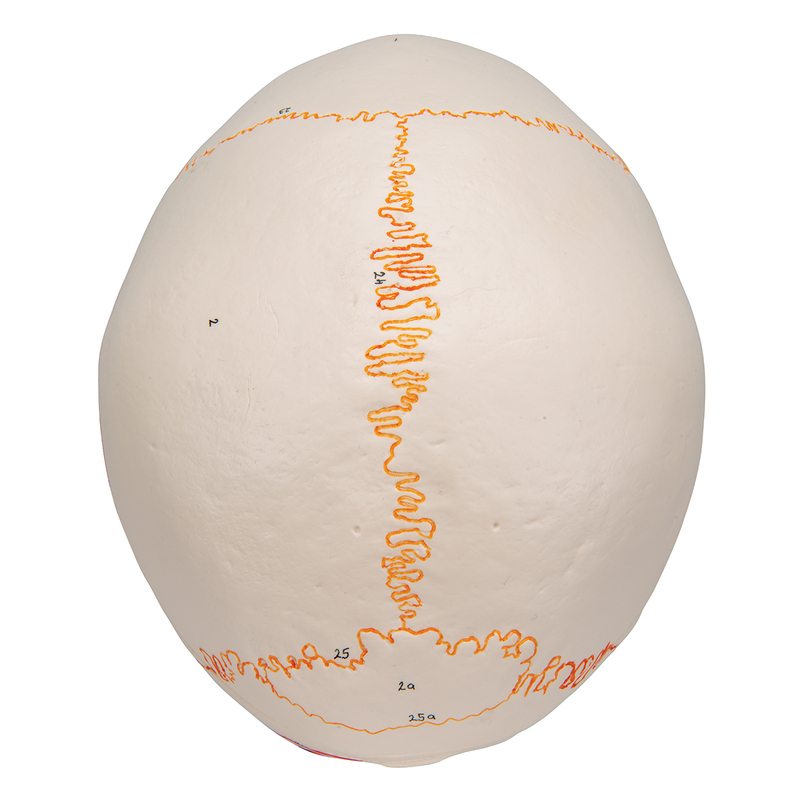 This unique model of the classic human skull is useful for students and practicing doctors alike, being a great tool for learning and teaching. 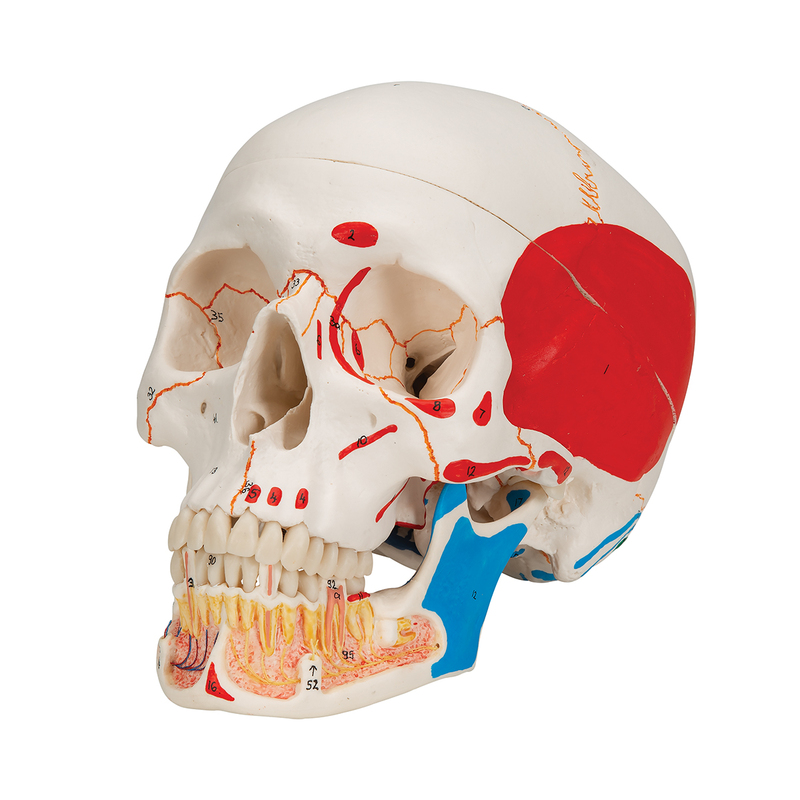 Not only are important anatomical features of the skull depicted but also the open jaw gives a distinctive view of teeth roots.